There was probably no more broken promise in the investment world over the last several years than that energy master limited partnerships (MLPs) would hold up even if the price of oil fell. These guys were toll takers, it was said, and profited from the volume of crude pumped through their pipelines. The price of oil was somebody else’s problem. In any case, double-digit yields would provide more than ample support in any kind of selloff. Once the price of Texas tea (USO) began its plunge in 2014 from $107 to $25, any investment tarred with an oil connection got slaughtered. It was the classic flash fire in the movie theater. Making matters worse is that many retail investors bought highly leveraged MLPs on margin, turning 10% yields into 20% ones. When the sushi hit the fan, it didn’t take long for those positions to go to zero. Most of the leveraged plays went bankrupt or were unwound in a variety of creative ways with enormous losses. I always find it a useful exercise to sift through the wreckage of past investment disasters. 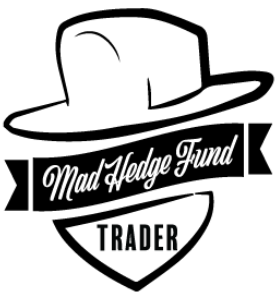 Not only are there valuable lessons to be learned, sometimes decent trades emerge. I have been doing that lately in the energy sector, a hedge fund favorite these days, and guess what? 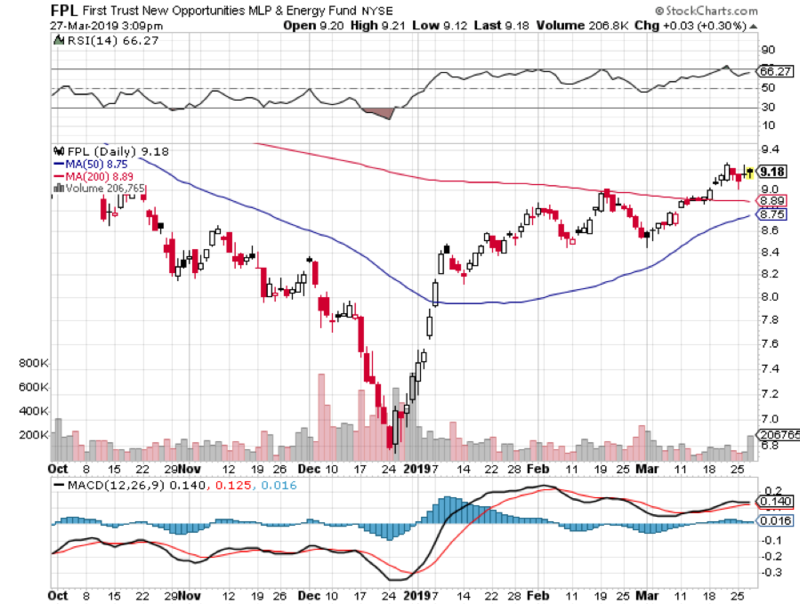 MLPs are back. And no, I’m not talking about the Maui Land and Pineapple Company (MLP) (yes, there is such a thing!). But these are not your father’s MLPs. 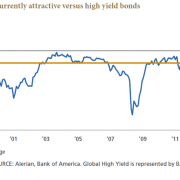 With overnight cash yields still at a paltry 2.00%, the allure of high yielding MLPs is still there. Let me start with my investment thesis. It is always better to invest in an asset class that has its crash behind it (energy) than ahead of it (equities, bonds). And let’s face it, the final bottom in oil at $25 is in. We may bounce around in a $55-$65 range for a while. But eventually, I expect a global synchronized economic recovery to take it sustainably higher. And while I have never been a fan of OPEC, they are showing rare discipline in honoring the production quotas. 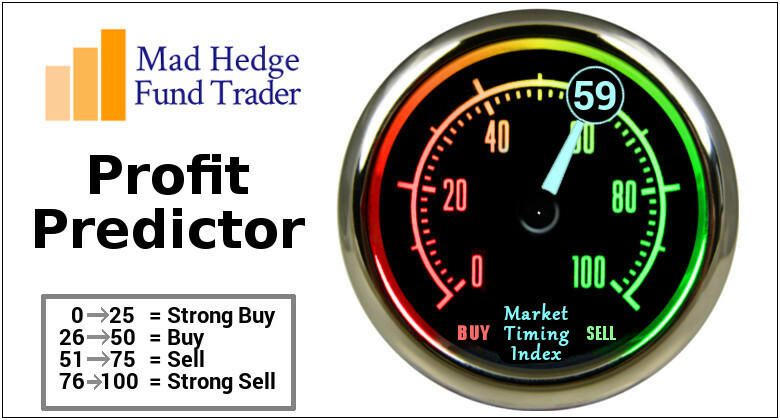 That eliminates much of the downside from MLPs and makes it one of the more attractive risk/reward trades out there. The fact is that the energy revolution in the U.S. remains very much intact. Keep a laser-like focus on the weekly Baker Hughes rig counts, as I do, and you see that we have been on a relentless upturn for nearly a year. Except that this time it’s different. Thanks to hyper accelerating technology (yes, there’s that term again), new wells employ a fraction of the labor of the old ones and are therefore more profitable. That means they can function, and even prosper, with a much lower oil price. Since everything is political these days, I would remiss in not bringing this unsavory issue up. To say that the new administration is friendly to the oil industry would be the understatement of the century. Look no further than the Keystone pipeline which, after languishing for eight years, saw approval from the new president during his first week in office. That means lower taxes, more subsidies, and less regulation of the business, all profit-boosting measures. There is another angle too. By now, you should all be experts on weak dollar plays. Oil is a great weak dollar play. As consumer prices rise, consumers can pay ever-higher prices for energy. The great thing for MLP investors is that many revenue streams are inflation-linked according to fixed formulas, much like TIPS, (Treasury Inflation Protected Securities). But you have to be clever by half to take advantage of these new trends. Thanks to the crash, the surviving MLPs are now a much better quality investment. Balance sheet quality has improved as a result of deleveraging in the last 14-18 months, and the worst of the rating downgrade cycle is likely behind us. Importantly, some $50 billion‒$60 billion of growth opportunities for MLPs are expected during FY2017-2020. That makes the industry one of the great secular growth stories out there today. As an old fracker myself, I can tell you that the potential of the revolutionary new technology has barely been scratched. Thanks to technology that is improving by the day, a Saudi Arabia’s worth of energy reserves remain to be exploited, potentially turning the US into an energy-exporting powerhouse. Industry experts expect MLP distributions to grow by 3%‒5% annually over the coming years. Few other industries can beat this. That means avoiding upstream Exploration and Production companies; where there is still a ton of risk and placing your bets on midstream companies that operate pipelines. And by midstream, I don’t just mean pipelines, but also processing facilities for natural gas liquids and storage and terminal facilities. You especially want to look at companies with high barriers to entry and attractive assets in high- growth and low-cost production regions. Companies with a sustainable cost advantage operated by experienced management with proven geological are further pluses. 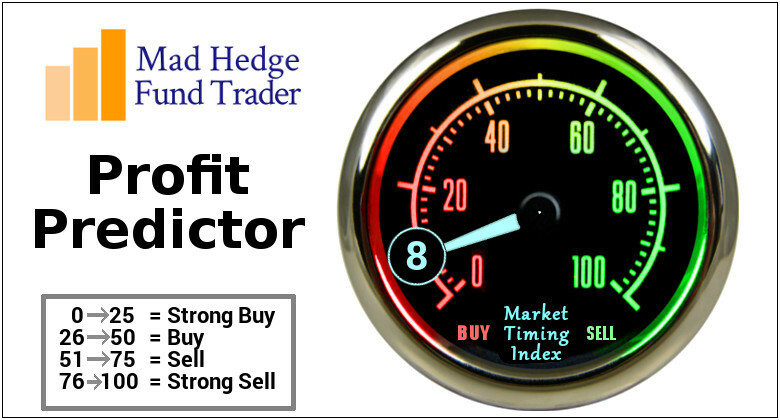 MLPs also stack up nicely as a diversifier for your overall portfolio. Over longer time periods, MLPs have generated similar returns to equities, with similar to slightly higher levels of volatility. Historically, they have traded at lower yields than high-yield bonds, but currently, they are yielding 150 basis points more. And now for the warning labels. As you can see from the charts below, MLPs have been rallying hard since oil bottomed in January 2016. And if my oil forecast is wrong and we plumb new generational lows once again, investment in this sector will suffer. Still, with yields in the 7%-10% range, a certain amount of pain is worth it. 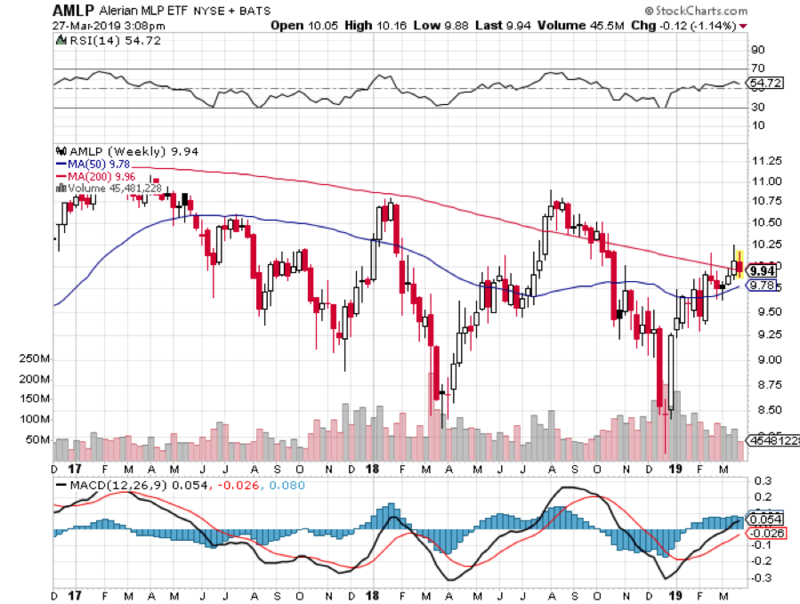 Take a look at the Alerian MLP ETF (AMLP) (6.11%), the Global X MLP Energy Infrastructure ETF (MLPX) (6.11%), and Valero Energy Partners LP (VLP) (4.72%). I believe that the global economy is setting up for a new Golden Age reminiscent of the one the United States enjoyed during the 1950s and which I still remember fondly. This is not some pie in the sky prediction. It simply assumes a continuation of existing trends in demographics, technology, politics, and economics. The implications for your investment portfolio will be huge. What I call “intergenerational arbitrage” will be the principal impetus. The main reason that we are now enduring two “lost decades” of economic growth is that 80 million baby boomers are retiring to be followed by only 65 million “Gen Xer’s”. When the majority of the population is in retirement mode, it means that there are fewer buyers of real estate, home appliances, and “RISK ON” assets like equities, and more buyers of assisted living facilities, health care, and “RISK OFF” assets like bonds. The net result of this is slower economic growth, higher budget deficits, a weak currency, and registered investment advisors who have distilled their practices down to only municipal bond sales. Fast forward six years when the reverse happens and the baby boomers are out of the economy, worried about whether their diapers get changed on time or if their favorite flavor of Ensure is in stock at the nursing home. That is when you have 65 million Gen Xer’s being chased by 85 million of the “millennial” generation trying to buy their assets. By then we will not have built new homes in appreciable numbers for 20 years and a severe scarcity of housing hits. Residential real estate prices will soar. Labor shortages will force wage hikes. 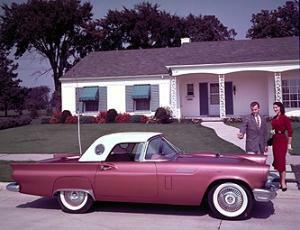 The middle-class standard of living will reverse a then 40-year decline. Annual GDP growth will return from the current subdued 2% rate to near the torrid 4% seen during the 1990s. The stock market rockets in this scenario. Share prices may rise very gradually for the rest of the teens as long as tepid 2-3% growth persists. A 5% annual gain takes the Dow to 26,000 by 2020. 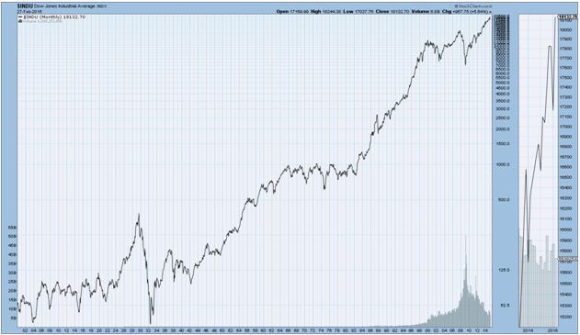 After that, we could see the same fourfold return we saw during the Clinton administration, taking the Dow to 100,000 by 2030. If I’m wrong, it will hit 200,000 instead. Emerging stock markets (EEM) with much higher growth rates do far better. This is not just a demographic story. The next 20 years should bring a fundamental restructuring of our energy infrastructure as well. The 100-year supply of natural gas (UNG) we have recently discovered through the new “fracking” technology will finally make it to end users, replacing coal (KOL) and oil (USO). Fracking applied to oilfields is also unlocking vast new supplies. 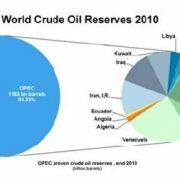 Since 1995, the US Geological Survey estimate of recoverable reserves has ballooned from 150 million barrels to 8 billion. 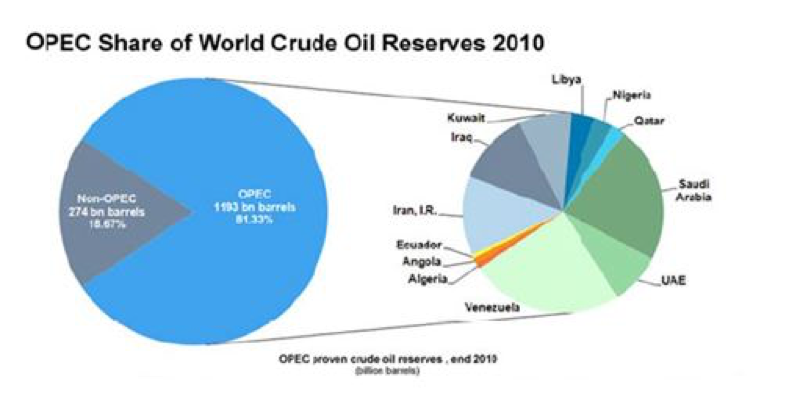 OPEC’s share of global reserves is collapsing. This is all happening while automobile efficiencies are rapidly improving and the use of public transportation soars. Mileage for the average US car has jumped from 23 to 24.7 miles per gallon in the last couple of years, and the administration is targeting 50 mpg by 2025. Total gasoline consumption is now at a five-year low. Alternative energy technologies will also contribute in an important way in states like California, accounting for 30% of total electric power generation by 2020. I now have an all-electric garage with a Nissan Leaf (NSANY) for local errands and a Tesla Model S-1 (TSLA) for longer trips allowing me to disappear from the gasoline market completely. Millions will follow. The net result of all of this is lower energy prices for everyone. It will also flip the US from a net importer to an exporter of energy with hugely positive implications for America’s balance of payments. Eliminating our largest import and adding an important export is very dollar bullish for the long term. That sets up a multiyear short for the world’s big energy-consuming currencies especially the Japanese yen (FXY) and the Euro (FXE). 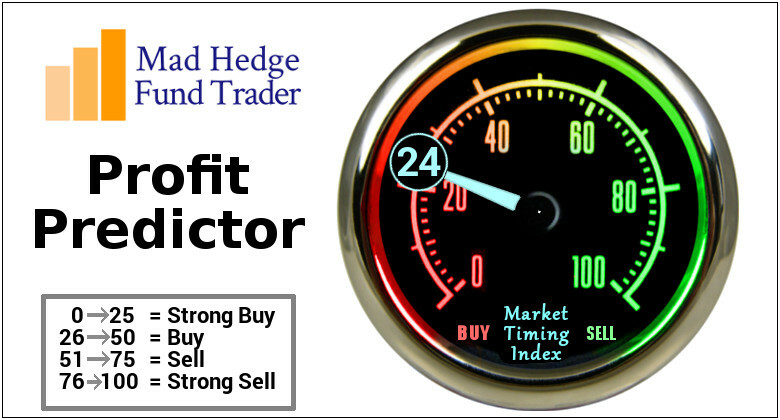 A strong greenback further reinforces the bull case for stocks. Accelerating technology will bring another continuing positive. Of course, it’s great to have new toys to play with on the weekends, send out Facebook photos to the family, and edit your own home videos. But at the enterprise level, this is enabling speedy improvements in productivity that are filtering down to every business in the US, lower costs everywhere. 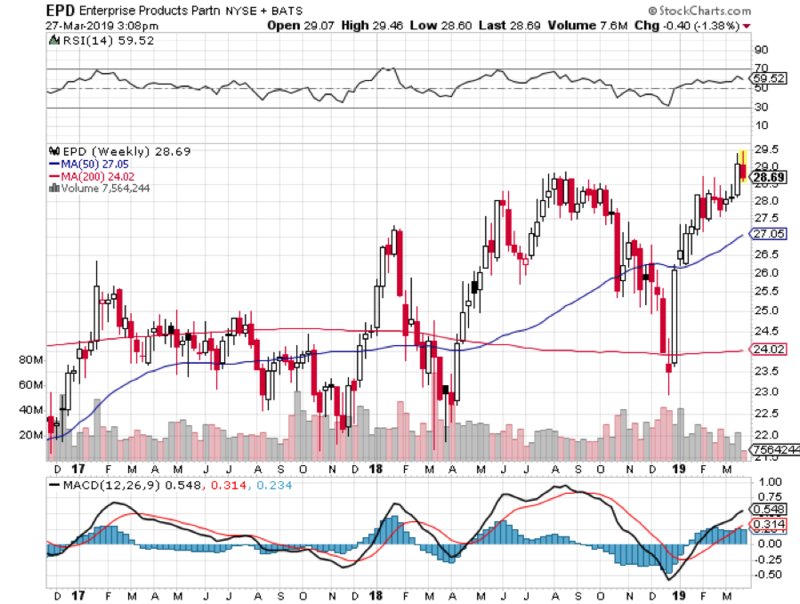 This is why corporate earnings have been outperforming the economy as a whole by a large margin. Profit margins are at an all-time high. Living near booming Silicon Valley, I can tell you that there are thousands of new technologies and business models that you have never heard of under development. When the winners emerge, they will have a big cross-leveraged effect on the economy. New health care breakthroughs will make serious diseases a thing of the past which are also being spearheaded in the San Francisco Bay area. This is because the Golden State thumbed its nose at the federal government ten years ago when the stem cell research ban was implemented. It raised $3 billion through a bond issue to fund its own research even though it couldn’t afford it. I tell my kids they will never be afflicted by my maladies. When they get cancer in 20 years, they will just go down to Wal-Mart and buy a bottle of cancer pills for $5, and it will be gone by Friday. What is this worth to the global economy? Oh, about $2 trillion a year, or 4% of GDP. Who is overwhelmingly in the driver’s seat on these innovations? The USA. There is a political element to the new Golden Age as well. Gridlock in Washington can’t last forever. Eventually, one side or another will prevail with a clear majority. This will allow the government to push through needed long-term structural reforms, the solution of which everyone agrees on now, but nobody wants to be blamed for. That means raising the retirement age from 66 to 70 where it belongs, and means-testing recipients. Billionaires don’t need the maximum $30,156 annual supplement. Nor do I. The ending of our foreign wars and the elimination of extravagant unneeded weapons systems cuts defense spending from $800 billion a year to $400 billion, or back to the 2000 pre-9/11 level. Guess what happens when we cut defense spending? So does everyone else. I can tell you from personal experience that staying friendly with someone is far cheaper than blowing them up. A Pax Americana would ensue. That means China will have to defend its own oil supply instead of relying on us to do it for them for free. That’s why they have recently bought a second used aircraft carrier. The Middle East is now their headache. The national debt then comes under control, and we don’t end up like Greece. The long-awaited Treasury bond (TLT) crash never happens. Fed governor Janet Yellen has already told us as much by indicating that the Federal Reserve will soon start to unwind its massive $3.9 trillion in bond holdings. What have bond prices done? The reality is that the global economy is already spinning off profits faster than it can find places to invest them, so the money ends up in bonds instead. Sure, this is all very long-term, over the horizon stuff. You can expect the financial markets to start discounting a few years hence, even though the main drivers won’t kick in for another decade. But some individual industries and companies will start to discount this rosy scenario now. Perhaps this is what the nonstop rally in stocks since 2009 has been trying to tell us.